There are some areas of life that appear to lend themselves to training and systems, such as using spreadsheets, law, accounting and medicine. But for things like coming up with new ideas or creativity we rely on luck or inspiration. However, there is a way to systematise this. Inspired by a book from the 1940s, in this podcast, I describe a 5-step process for idea generation. Reflecting until you are exhausted. Distracting yourself away from the problem. Let the magic happen as the idea comes out of nowhere. Exposing the idea to the world of healthy criticism. I’ve been using this system and it works. I elaborate on each in this podcast and discuss what we can learn about how to live (or not to live!) our lives accordingly. Hope you find this helpful. You can subscribe to my podcast on iTunes, Stitcher, Overcast, Spotify or wherever you get your podcasts. 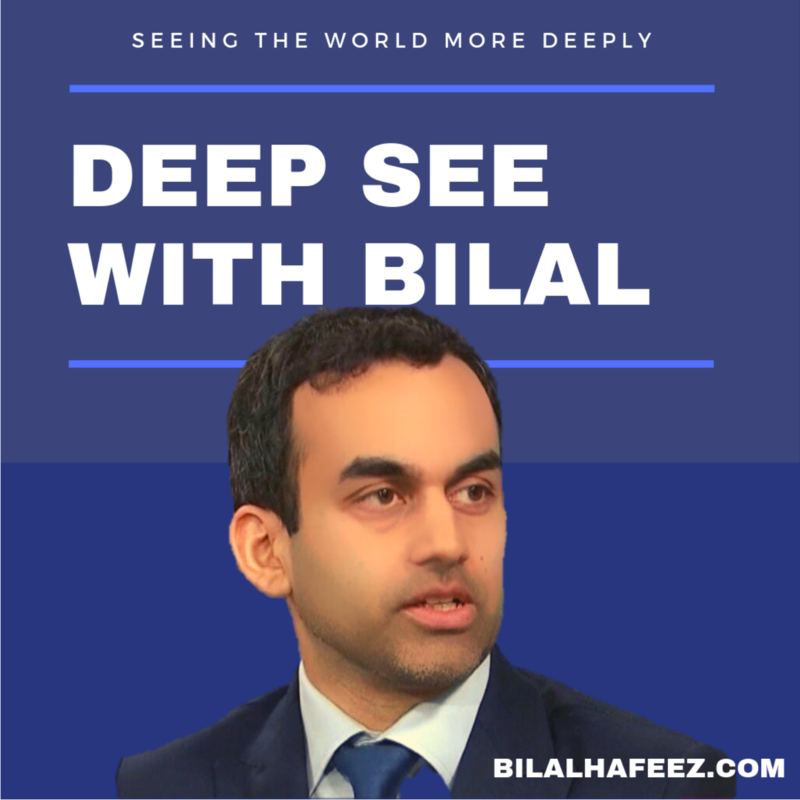 Just search for “Deep See With Bilal”. Also make sure to rate and review this podcast and enjoy! In this podcast, I discuss a technique to overcome bad decision making. A method that Noble prize winner Daniel Kahneman recommends. Make sure to subscribe, rate and review this podcast and enjoy! Bilal. I recently watched Captain Marvel, which introduces the final new superhero before we get the last Avengers movie – Endgame in late April. It’s great entertainment but also continues the metaphysical or God theme that been running throughout the Avengers movies, especially around the idea of the Infinity Stones and the villain Thanos. In this podcast, I weave the stories together to describe how the Marvel Universe and by extension the modern world understands the meaning of God. You won't hear this take on a Marvel movie anywhere else! In this podcast, I discuss each in detail and even though I said this was advice for my younger self, it would apply to all ages. There are a bewildering array of diets: GI, Atkins, Paleo, Ketogenic, Dukan, Scandinavian LCHF, Banting, Bulletproof, South Beach. It goes on and on. All of these have there strong advocates and so it’s hard to decide which one to opt for. Thankfully, the work of Professor Valter Longo,an expert on ageing, cuts through these all to find the best diet to live long and healthy. I summarise the main findings of his "longevity" diet, which include suggestions like eating mainly vegan to time restricted eating. Rather than focusing on making money, I talk about spending money - a neglected topic. There has been some good research in this space, which comes to concrete conclusions. Pulling together the research, there appears to be 7 principles we should follow when to deciding what to spend our money on. I discuss each.